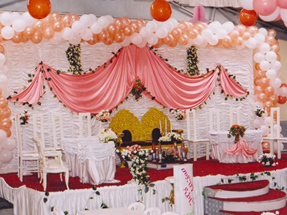 Full decoration and equipment rental services for Events, Inaugural Ceremony, Wedding, Birthday Party, Births and more. In addition, we have good stock for sale and rental. Never hesitate to choose MEDHIN DECOR, we will provide you a quality service.